I think it’s fair to say that anyone who writes their memoirs has a healthy abundance of ego. 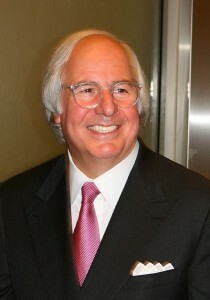 But if you’re looking for ego measured in metric tons, search no further than Frank William Abagnale Jr. The man can do literally anything he wants. In 1980, after serving various sentences for a vast collection of financial fraud convictions, he told his story – with the help of co-writer Stan Redding – in Catch Me If You Can. This guy makes Donald Trump look like a Boy Scout. At the age of sixteen he ran away from his broken home in suburban New York City and started passing bad checks. Surprised by how easy he found it to fool the banking industry, he wrote more bad checks, traveling the country always on the hunt for fresh and unsuspecting prey. Fancying the glamorous life of jet airline pilots, he also decided to fabricate his own Pan Am identification and aviation license in order to get unlimited free flights and lodging at the airline’s expense. He traveled the world passing bad checks of every kind and accumulating a small fortune, always staying several steps ahead of the law. In case you missed it, he wrote a lot of bad checks. When he got bored or wanted to slow down for a bit he impersonated a lawyer, a pediatrician and a college professor, accumulating loads of praise along the way. Precocious is an accurate descriptor, but it really doesn’t do Abagnale justice; he did all of this before he was twenty years old. Abagnale and Redding tell the story in a straightforward and energetic manner, never hesitating to point out how many times our hero gets laid by a bodacious babe, although the book keeps it tame with a PG rating throughout. Eventually, the law catches up with him and – despite a couple of astonishing escapes – Abagnale is forced to serve his time, which provides an appropriate ending to the book. My edition – published after the Spielberg movie of the same name was released in 2003 – contains some subsequent information about his reformed and presumably legal life. immorality of his actions. He seems to enjoy writing about it a bit too much, reliving his glory days. To be honest, I read this book because I didn’t have anything else to read while on vacation and although it’s a quick read that kept me entertained, I don’t think it really belongs in any higher category. Spielberg’s movie version is better, primarily because DiCaprio makes Abagnale more likable and we get to see the FBI’s side of the story. 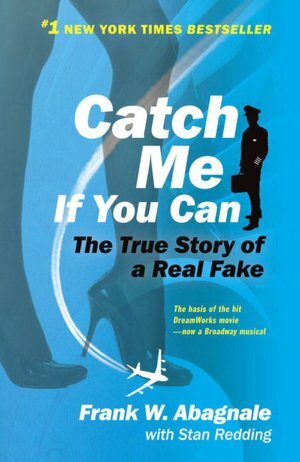 Catch Me If You Can is a tough book to judge if you happen to be wearing your moralist glasses, but as pure, mindless entertainment it’s effective, which I guess is why it makes a better movie than a book. Too much self-adulation. Too many hot chicks. Too many bad checks. It’s hard to see the downside to a life of crime as presented by Frank Abagnale.